Article discussing the antibiotics that are used on ORGANIC Apples and which kinds are most likely to have antibiotics and which kind are less likely. 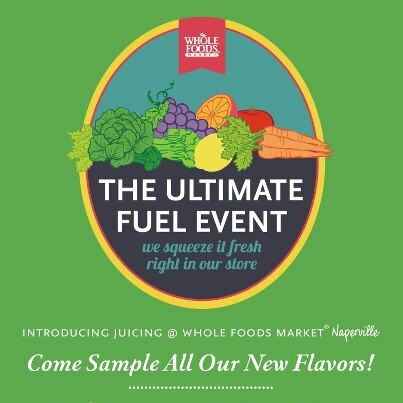 Whole Foods Naperville is Juicing Fresh Veggies and Fruit in the store and giving FREE Samples EVERY Friday-Sunday 11am-6pm beginning this weekend! Posted on March 19, 2013, in Uncategorized. Bookmark the permalink. 1 Comment. Thank you so much for linking to my post on antibiotics in organic apples and pears. I was so shocked and just wanted to share what I found with everyone. Thank you for helping me spread the word.